I am here today with Team DCWV & Chameleon Markers! For the first 3 Fridays of October we will be sharing awesome projects from both design teams during our DCWV & Chameleon Blog Hop!! And we are kicking off Week #2 of our hop with some exciting projects!! 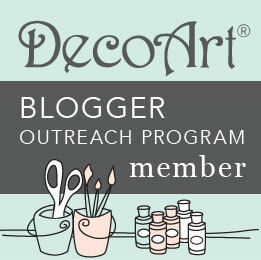 Please make sure to stop by each of my design sisters' blogs for more inspirational creations!! 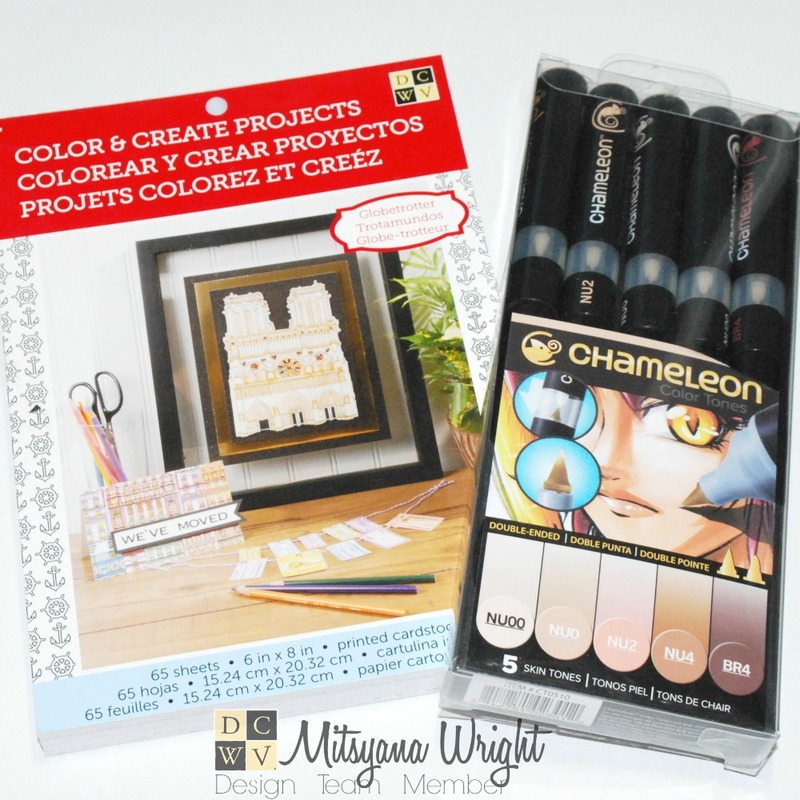 For my project today, I will be using Chameleon's Skin Tone Pens with my fabulous DCWV papers!! 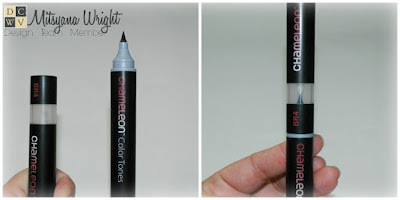 I have to start off saying how much I love these Chameleon Pens! Specifically their ability to get a multitude of shade from one pen! To activate the pen, take the cover off whichever tip you wish to use (they're dual tipped) and insert it into the barrel with the white nib (with the white nibbed barrel on top and colored tip marker on bottom), hold in place for a count of at least 10 seconds. Then start coloring where you. Start in an area where you wish to place down the light color/ highlights down first. The color will automatically darken as you continue to color. I used only the color BR4 to color this entire card... and yet it looks like I used 3 or 4. The color variants you get in each pen is simply amazing!! For my card front, I trimmed my coloring page down to 5-3/8" x 3- 3/8" and cut a piece of Gold Thread Burlap measuring 5-1/2" x 4" to mat. I wrapped hemp twine, horizontally, around my colored piece. and then tied a bow and bottom on to it. 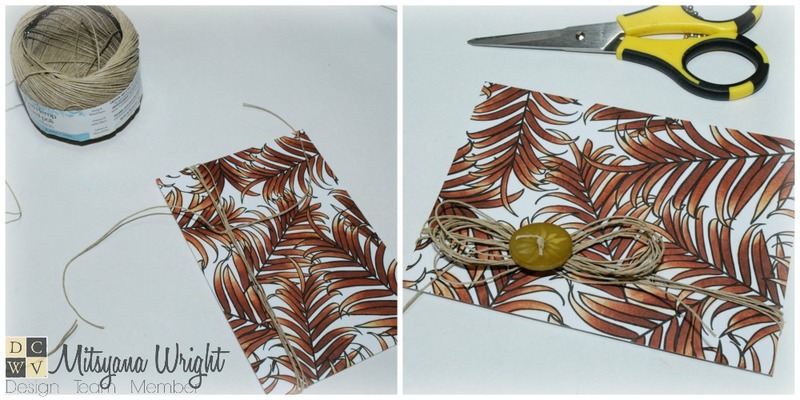 Once I got my twine tied and measured exactly, I slid the twine off and set it aside. 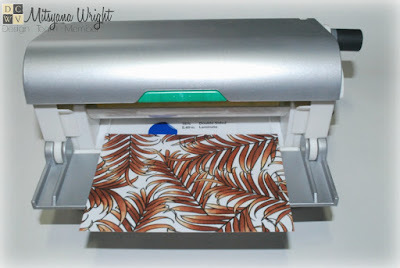 Then ran my colored cardstock through my Xyron Creative Station. 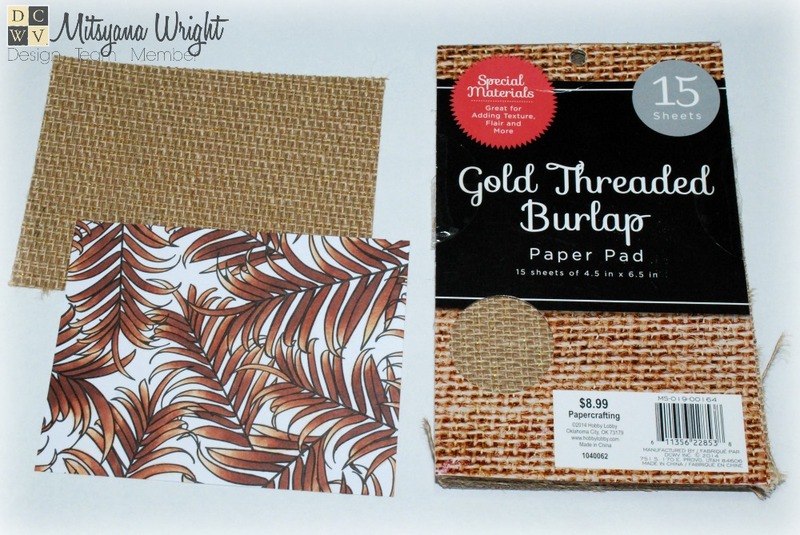 I put the twine back on, then attached my card to then attached it to my burlap. 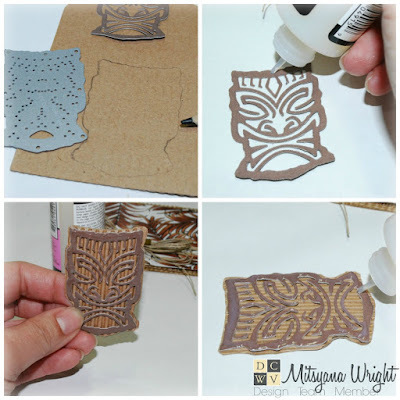 I die-cut out this little "tiki guy" out of brown cardstock. Then, I used the die as a template to make a shadow from corrugated cardstock. I layered the pieces and attached with Glossy Accents. I used more Glossy Accents to add more dimension to the surface of the tiki. Once dried a sponged down with Jumbo Java ink over the edges and onto the raised areas. I stamped the word "mahalo" (which means thank you- in Hawaiian) onto Kraft cardstock with Onyx Black ink. 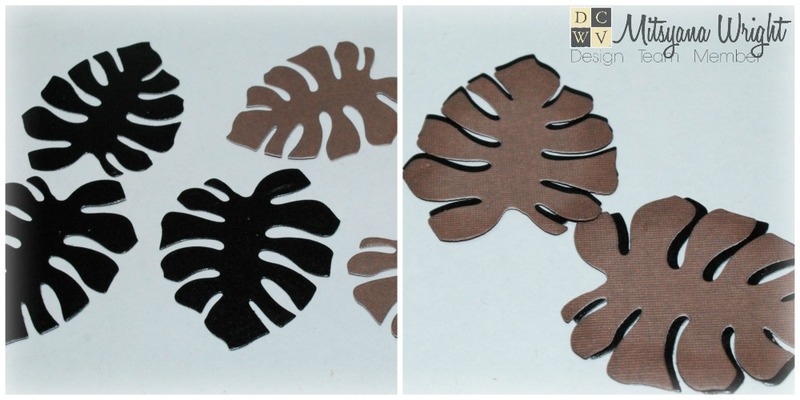 I die-cut 6 monstera leaves (3 from brown cardstock, and 3 from chalkboard paper). I inked the brown leaves with more Jumbo Java ink, then attached the brown leaves to the black ones. I used the black ones as shadows. 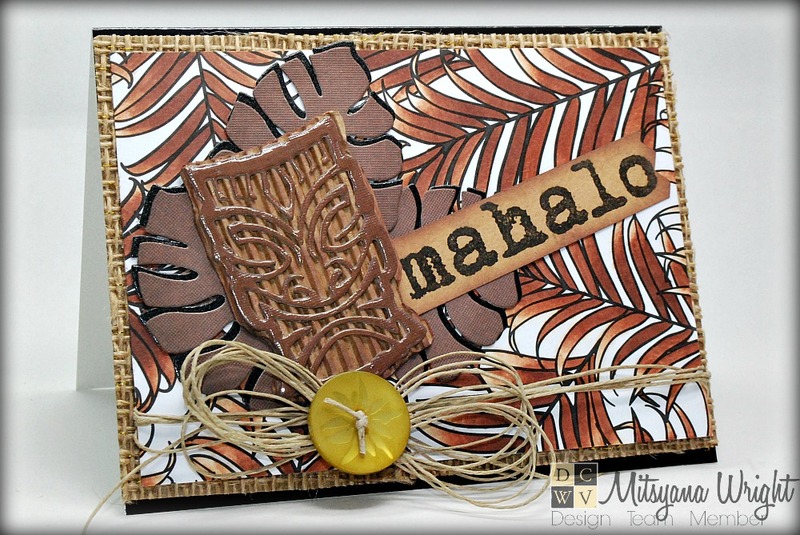 Next, I attached my leaves to my card front then layered my tiki mask and mahalo tag atop of that. Finally, I attached my card front to an A2 sized (5-1/2" x 4-1/4") card base made from black glossy cardstock. I love the neutral yet bold tones the brown marker was able to give me. 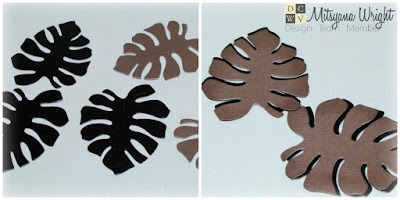 These color work well with a Fall / Thanksgiving theme or for masculine projects as well! 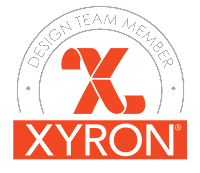 Your card is wonderful, great job! 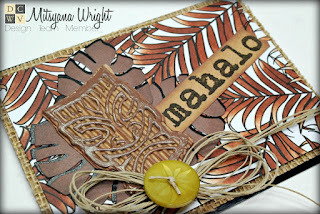 Loooooove the combo of colors and texture here. The way you created that mask with the currogated paper is so cool! Oh wow! What a fun card! I love that you were able to achieve the background with only one Chameleon marker. It really goes to show how versatile they are! I love, love, love, love, love LOVE this card. This is just what I was looking for! What is the name of the die for the mask and where can I purchase it? Thanks!! how very cool! Your coloring is awesome and I love the whole design!